Members range from 20 to 70 years old. 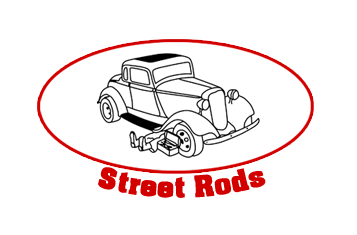 Our goal is to promote the hobby of street rodding in a positive manner and to give back to our community by means of charitable activities and donations. The camp is designed for physically and mentally handicapped children and youth and is located near Monticello, Iowa. The event is known as “Cruisin’ for Camp Courageous” and the event is Iowa’s Largest Charity Car Show and Arts-n-Crafts Show. Well over 200 beautiful show cars competed for trophies in numerous classifications. The cars are displayed throughout the beautiful grounds of Camp Courageous. We have also been involved helping a variety of other charities in eastern Iowa since our club was founded in 1975. Our current club membership totals approximately 62 families from in and around the Cedar Rapids area. Our club meets bi-monthly on the first Sunday of each month at various locations in Linn county. Be sure to watch the Newsletter Page for updates to our club’s newsletter. It will provide you with club news and information, announcements of upcoming club events, and a list of our club meetings.